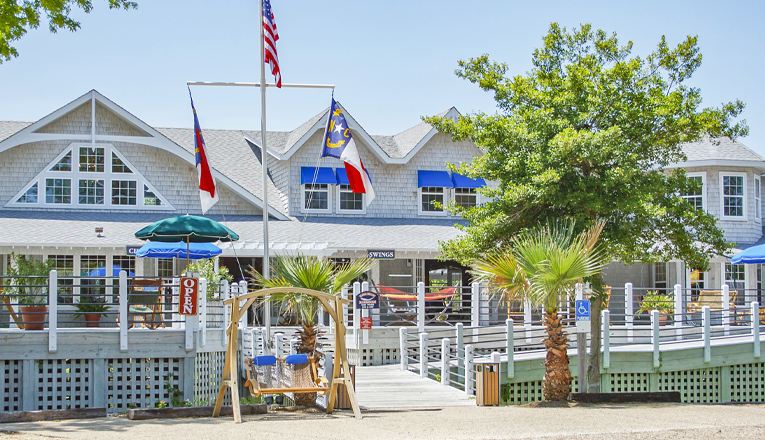 Tucked just off the main road through the quaint OBX community of Duck, the largest of our Nags Head Hammocks stores is beautifully appointed, both inside and out, and impeccably landscaped. Weavers are often on hand inside the store demonstrating their art and, during summer months, often out front along the main road as well. There’s so much to see and sample here, you’ll feel like an explorer as you wander around. But take your time — not rushing is what we’re all about! Numerous ready-to-enjoy hammocks, rockers, chairs and swings are just about everywhere you turn here, stretching back from the entrance at Duck Road to all across the spacious shop’s ample front porch, as well as inside, hanging from stands and ceilings and posts. 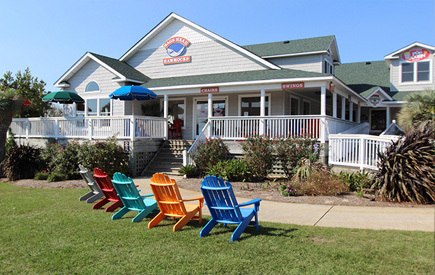 But walk straight out the back of the store for the major treat — the wide, wooden deck continues, with a broad view of the Currituck Sound. It’s a preferred spot for in-the-know locals to be at sunset — and OBX sunsets can be jaw-droppingly gorgeous. Many longtime customers tell us how much they’ve looked forward to their return to our Duck store, to once again stretch out in one of our many hammocks on our picturesque back deck. An Outer Banks sunset in a hammock here is an experience you won’t soon forget! 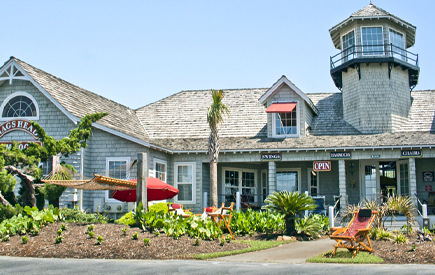 OBX memories are often made of … us!